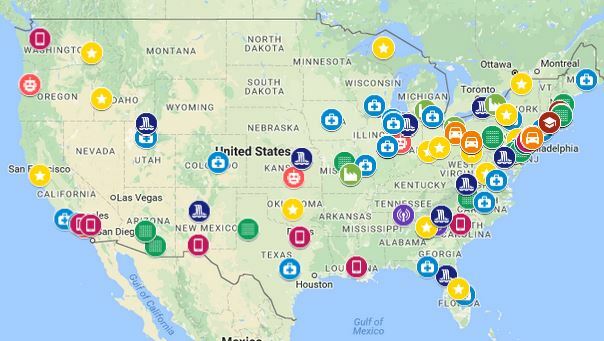 Below is all the news out of the pNEURO lab in 2017. A feature article on the lab was published on the BME website (“Bioelectronics to restore organ function”), and ended up on the cover of the BME newsletter, which came out in February. 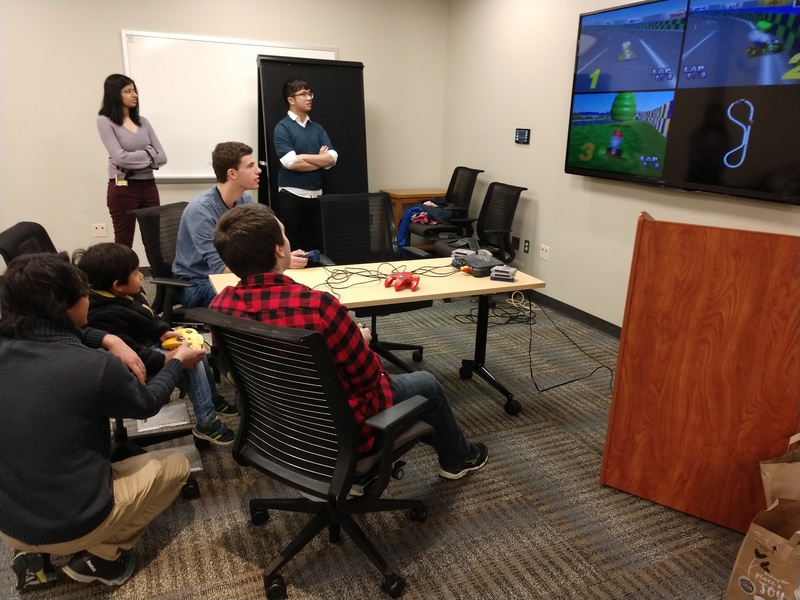 The lab had a fun end-of- year party, featuring old-school video games (MarioKart). Lauren was the big winner. 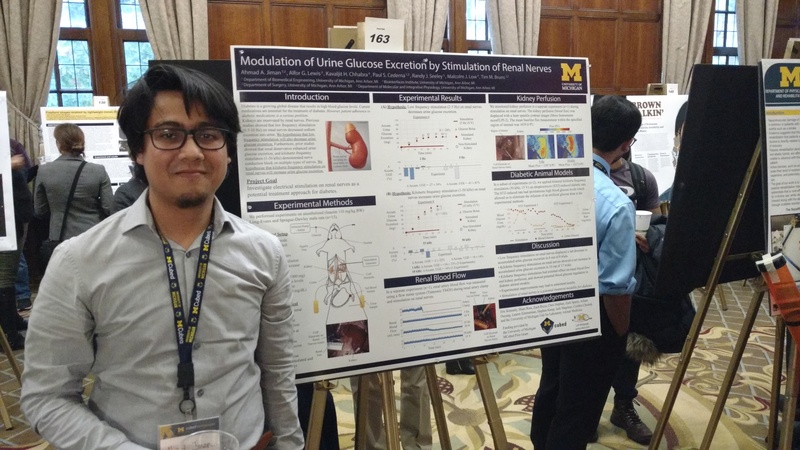 Ahmad presented a poster at the UM MCubed research symposium. 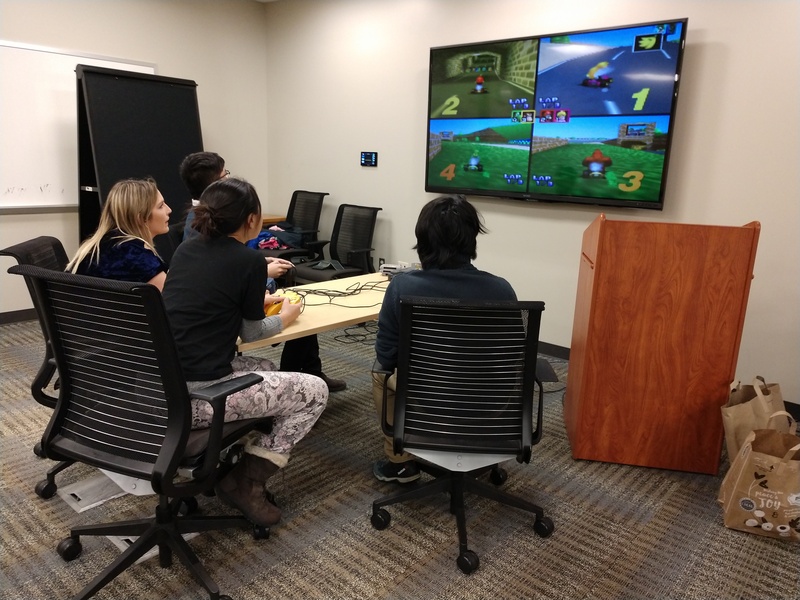 An article on our lab’s collaboration in a new NIH SPARC projectwith other UM labs was written by the UM Electrical Engineering department. The lab had a great time at the Society for Neuroscience 2017 meeting in Washington DC. 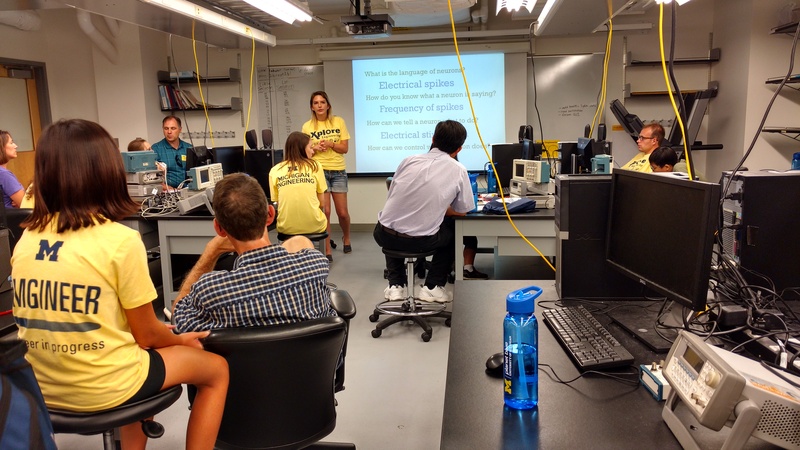 Ahmad, Aileen, Zach, and Lauren all presented posters, in the same session. 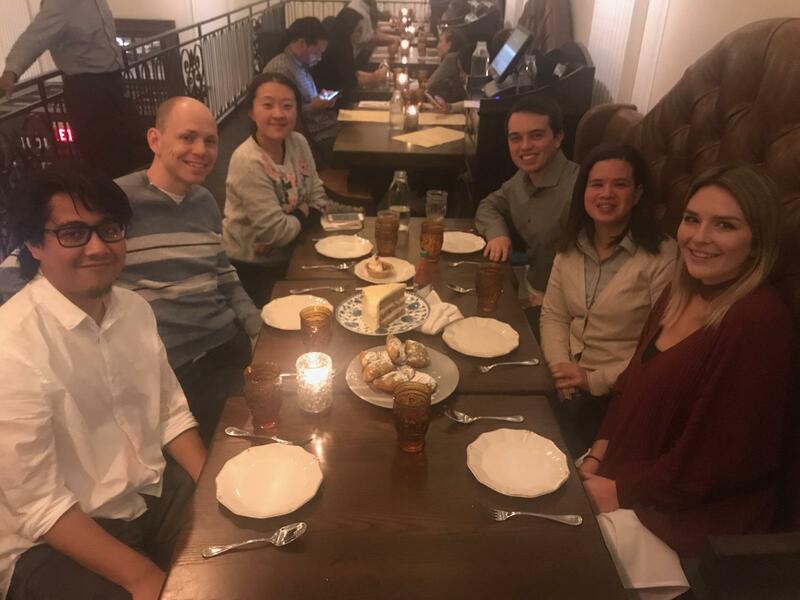 We had an excellent lab dinner at Succotash, joined by lab alum Shani Ross. A new lab paper was published at the Annals of Biomedical Engineering, led by postdoc Shani Ross and PhD student Aileen Ouyang. This paper studied different decoding algorithms for obtaining bladder pressure estimates from dorsal root ganglia recordings. Two research abstracts, by Lauren Zimmerman and Dr. Bruns, were accepted for oral presentations at the upcoming International Society for the Study of Women’s Sexual Health (ISSWSH) meeting, in San Diego. A new lab paper, led by undergrad researcher Indie Rice was published in the journal Neuromodulation. This study, with co-authors Lauren Zimmerman, Shani Ross, and Mitchell Berger, showed that pudendal nerve stimulation can lead to increases in vaginal blood flow in anesthetized rats. Aileen Ouyang received a travel award from Ripple to attend the 2017 Society for Neuroscience conference. 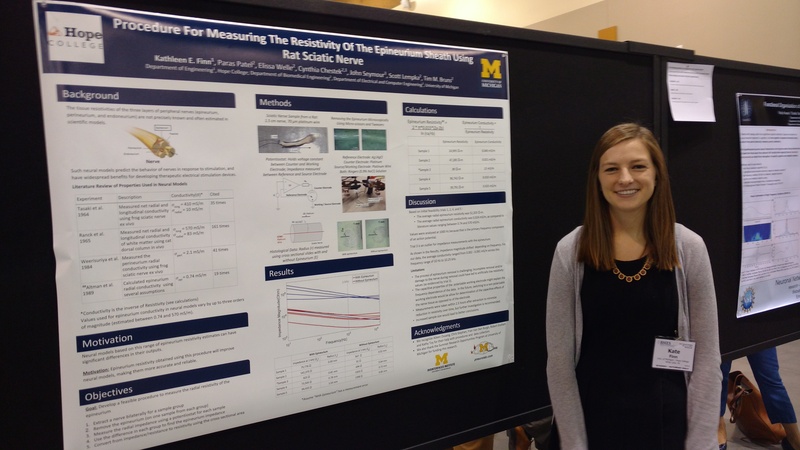 Summer student Kate Finn presented her lab research at the annual Biomedical Engineering Society meeting, in Phoenix Arizona. Dr. Bruns also gave two research talks. 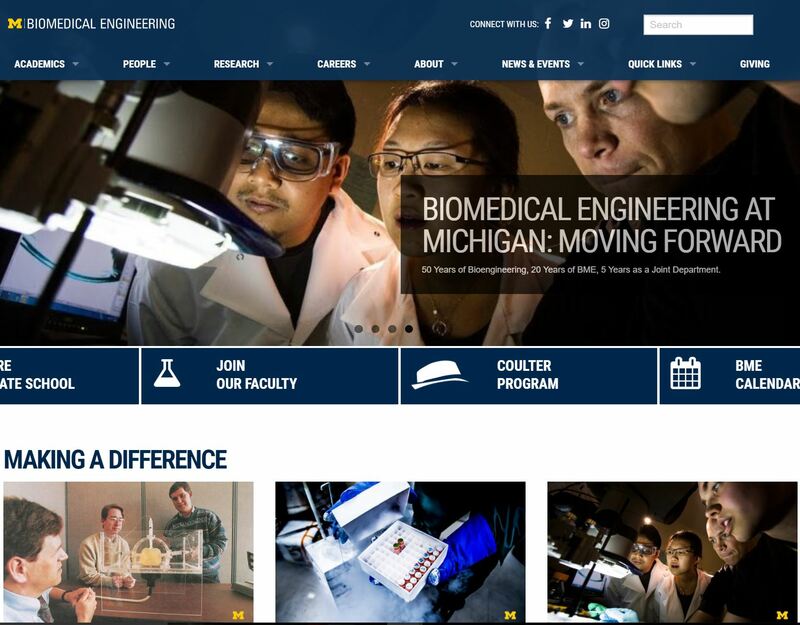 The lab is featured in several BME anniversary videos as well as on the front of the BME website. Here’s the “Happening Now” videoand the “Moving forward” video, each of which feature our lab. 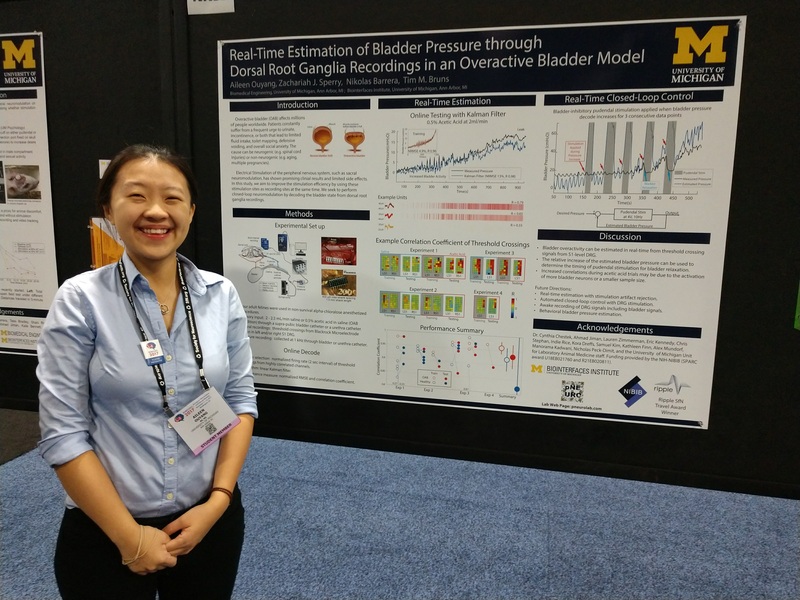 Congratulations to Aileen Ouyang for receiving a $3000 Rackham PhD student research grant. 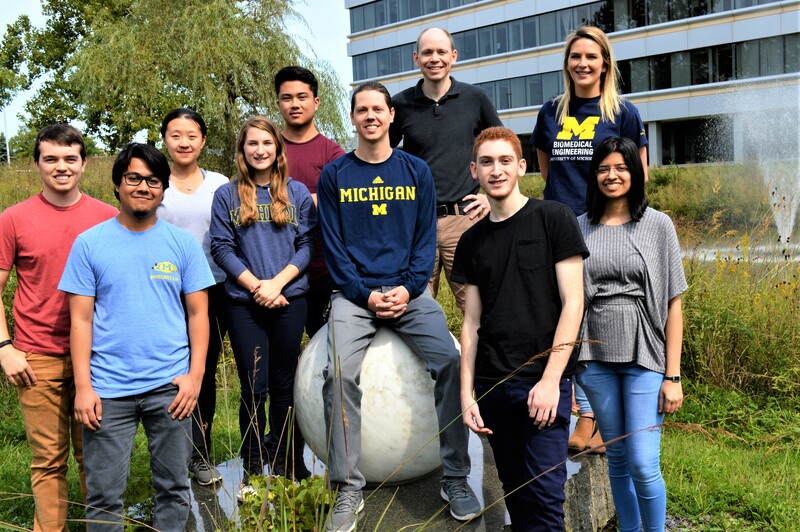 After another productive summer, we took another great lab picture. As part of the BME department’s 20 th anniversary celebration, Zach Sperry submitted an image from his work to be displayed in the LBME atrium as BioArt. We are excited to receive news of two new funding awards to the lab. 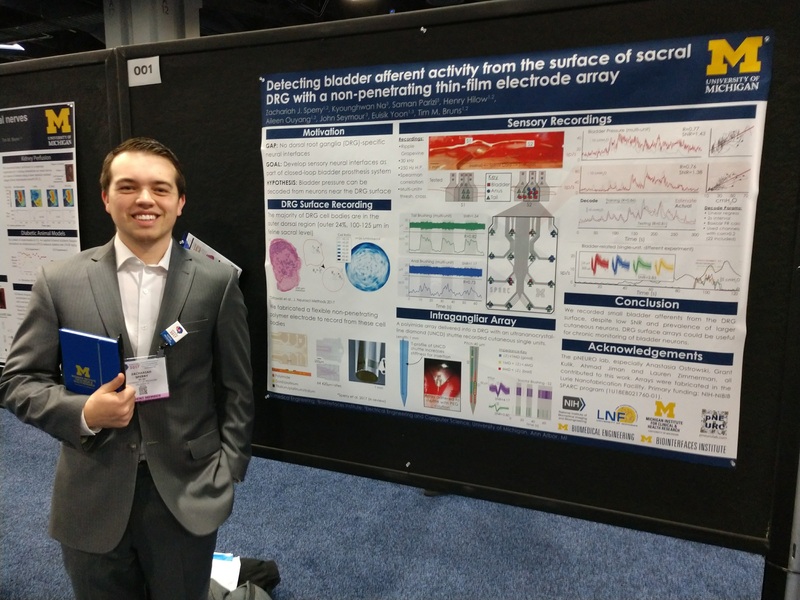 1) Our wrapping-up NIH SPARC U18 project on a novel dorsal root ganglia electrodes received a supplement to work with Vidrio Technologies on advanced neural signal analysis. 2) We were notified of receiving a separate, new SPARC project award through the OT2 mechanism. In this new award we will work with the John Seymour and Euisik Yoon lab of UM EECS and the Cindy Chestek lab of UM BME to develop novel small-nerve electrodes. 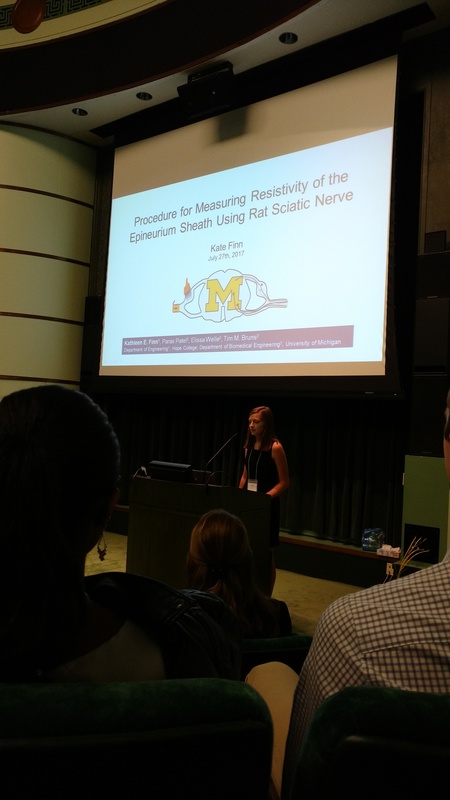 Kate Finn wrapped up her SROP summer research with our lab by giving a great talk and poster presentation at the SROP Symposium. The lab’s collaborative work on a new electrode device was included on a College of Engineering Research photography list – and by itself. 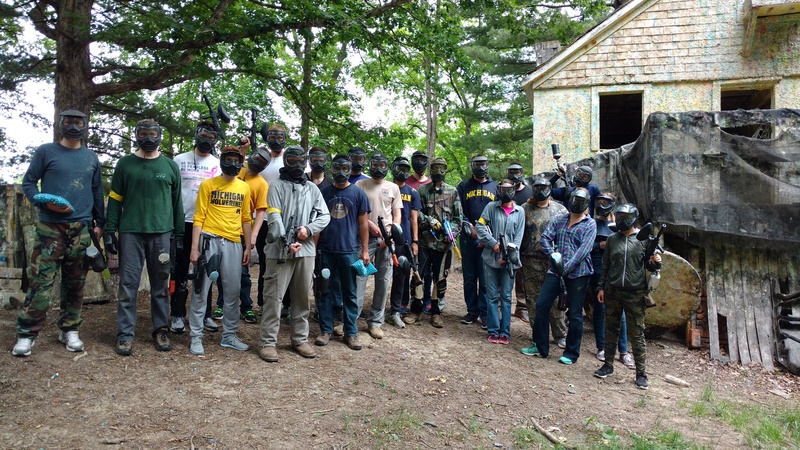 We had a lab outing for paintball, and had a blast! 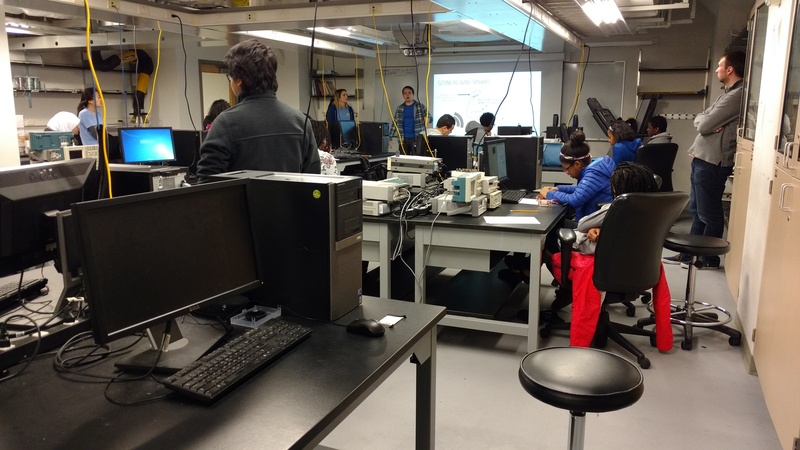 This time we invited a couple of other neural engineering labs for a big group event. 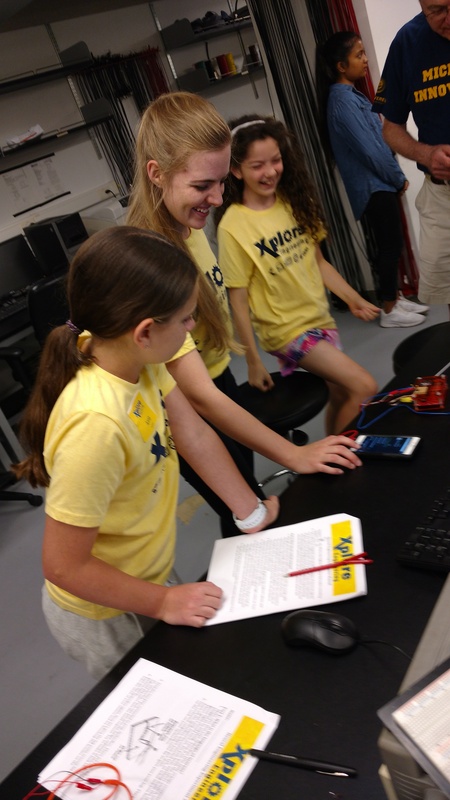 Our second year doing a Xplore Engineering workshop was led by Lauren, with participation from other lab members and students in other labs. 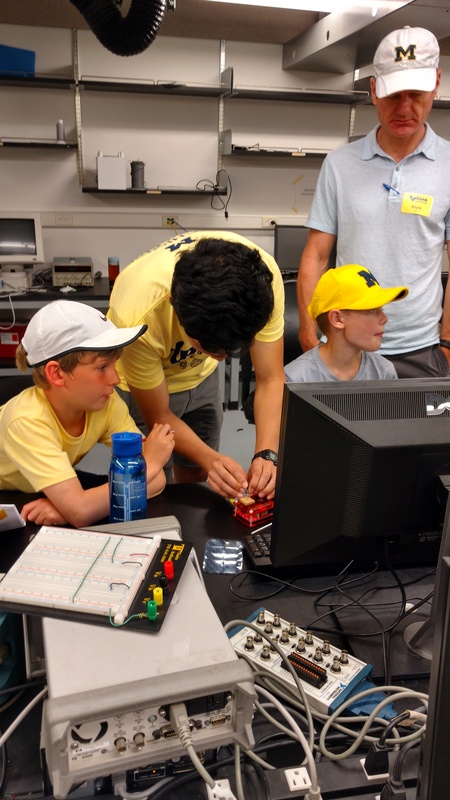 Again the kids had fun using Backyard Brains kits to learn about neural engineering! A COE photographer visited for one of the sessions, taking a set of pictures. The lab went out to lunch to send off long-time members Chris Stephan and Indie Rice. A College of Engineering photographer visited our lab for some candid pictures. Lauren Zimmerman received a Rackham Graduate Student Grant. 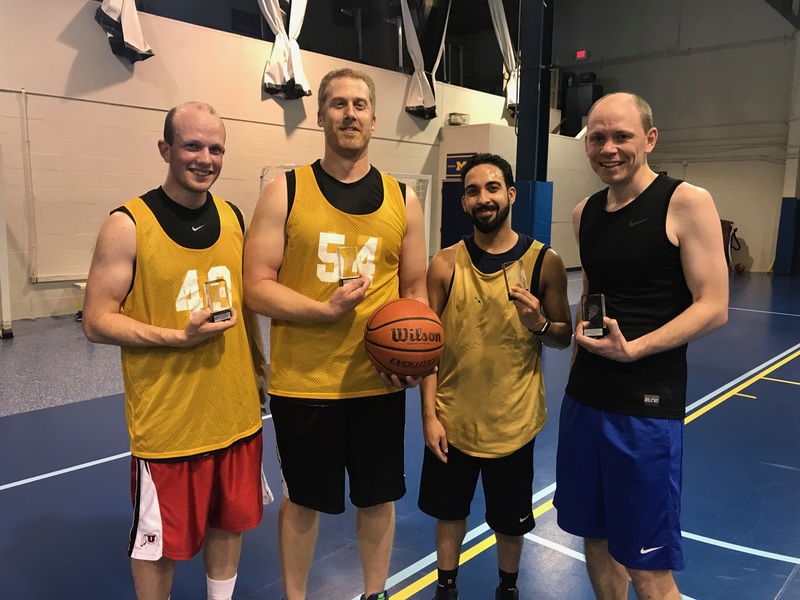 Lauren co-organized the 2nd annual BME basketball tournament, which grew to a 4-on-4 7-team tourney including players from other departments. “Somehow” Dr. Bruns was again on the winning team! 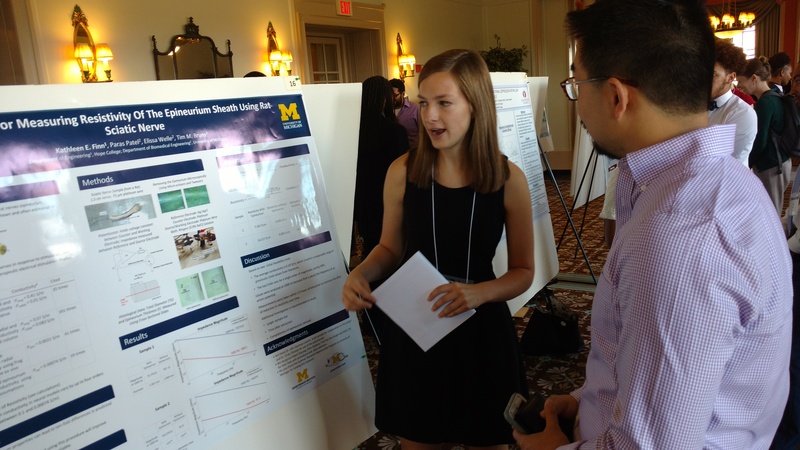 Lab members Anastasia Ostrowski, Chris Stephan, Indie Rice, and Alex Mundorf, and their teams, presented their BME Class Design projects at the Engineering Design Expo. The BME photographer captured them in action, as well as Dr. Bruns a few times. Micah Levy received a Underwood-Alger Scholarship, for undergraduates majoring in biological sciences. For her, now primary, research in engineering education, Anastasia wrapped up her M.S. by writing and defending a M.S. thesis, on “Individual and Course Structure Effects on Engineering Design Processes “! 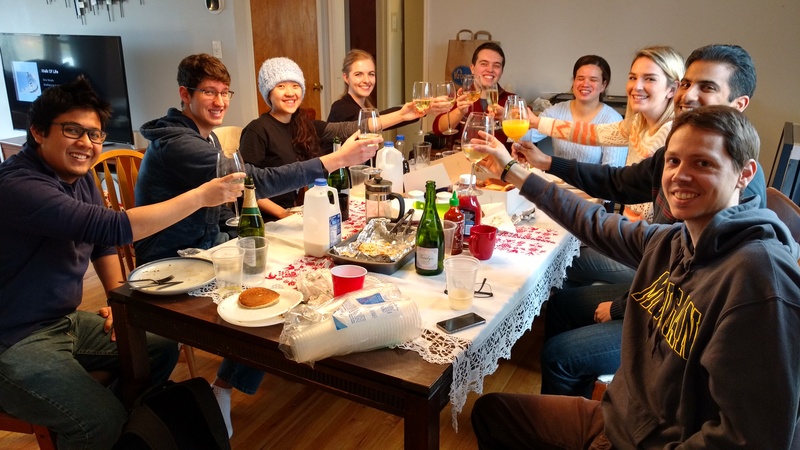 Congratulations to Lauren Zimmerman, who officially became a BME PhD candidate after completing her Qualifying Exam! Congratulations to our many lab graduates! Henry Hilow, Anastasia Ostrowski, Chris Stephan, and Lauren Zimmerman all received their M.S. degree in Biomedical Engineering. Alex Mundorf, Dhara Patel, and Indie Rice finished their B.S. in Biomedical Engineering. Indie Rice was awarded a NSF GRFP! Here is a BME news story on the awardees from the department. She will be attending MIT in the fall. 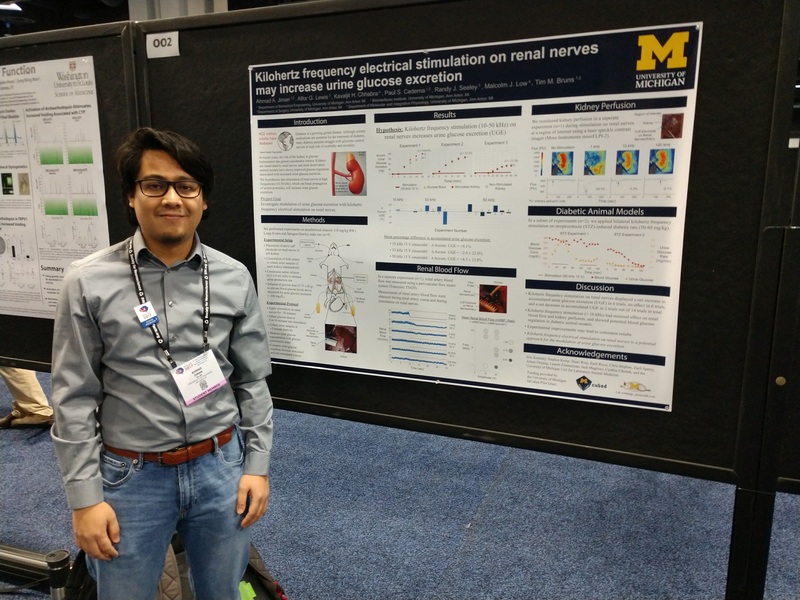 We had a paper accepted at the Journal of Neural Engineering, “Chronic monitoring of lower urinary tract activity via a sacral dorsal root ganglia interface” with lab authors Abeer Khurram, Shani Ross, Zach Sperry, Aileen Ouyang, Chris Stephan, Ahmad Jiman, and Tim Bruns. 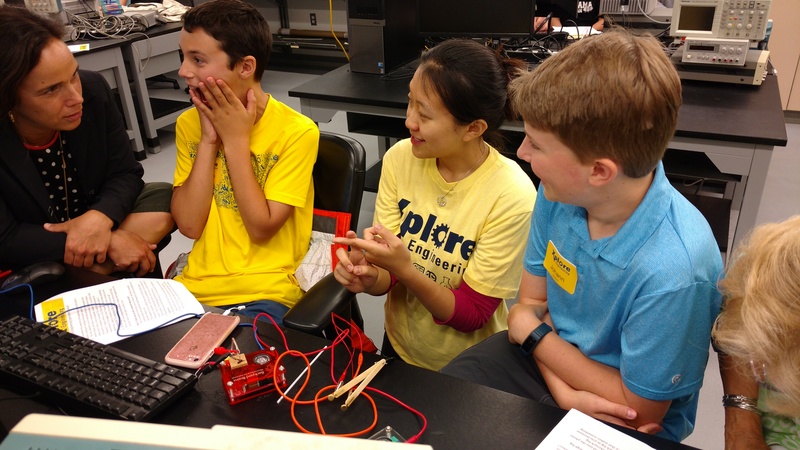 Our lab participated in a multi-weekend class through DAPCEP, showing high school kids engineering principals. For our Saturday, we guided the students through planning a neuroprosthesis controller using Backyard Brains kits and their muscles. At the end, we gave them all Michigan-themed brains, created by Ahmad and painted by Lauren (and modeled here by lab teachers Chris, Ahmad, Aileen, Zach, & Lauren). 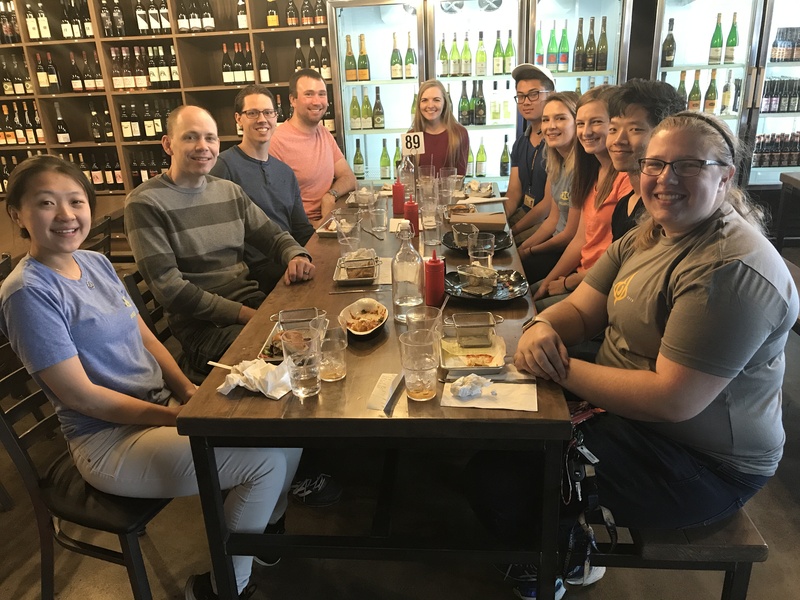 We said farewell, and congratulations to postdoc Shani Ross, who started as an Instructor with the Bioengineering Department at George Mason University. Dr. Bruns learned of a new grant for the lab, as he is the recipient of an NSF CAREER award, which will start in July. 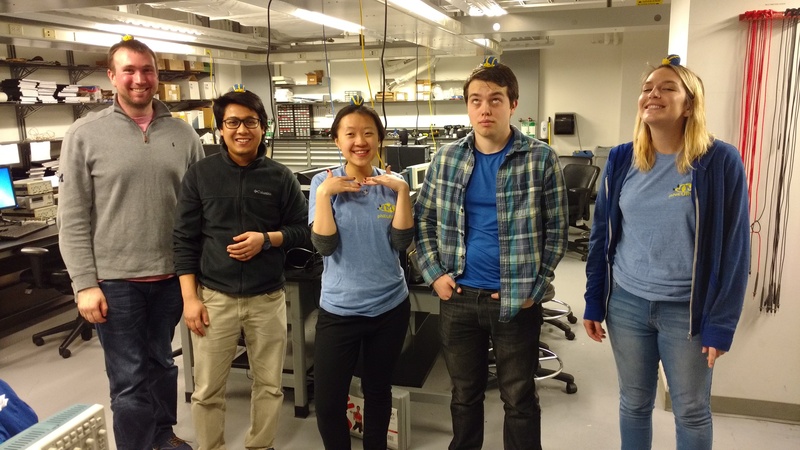 Here are a BME news story and College of Engineering story on the award. Congratulations to Aileen Ouyang, who officially became a BME PhD candidate after completing all requirements for her Qualifying Exam!